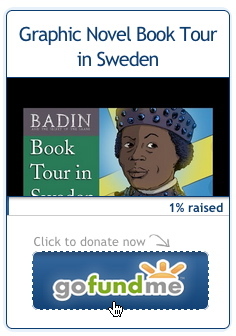 After completing the final art for Act 1 of Badin and the Secret of the Saami, I embarked on an 8 hour binge of combing the internet for literary agents who are looking for graphic novel writers. I narrowed it down to 14. I methodically submitted requests for representation and prayed for the best. As of today—a week later—about half declined to assist me in finding a publisher. The replies were standard and cordial. I am a little disappointed. However, my story is controversial and the artwork is not fancy—and in some cases unorthodox. Also, it about Swedes, Saami people and an African child. Many Americans don't consider that interesting (unfortunately). However, I will keep trying as I work. Regardless, I plan to finish three more mini-sagas (buy Vaarvaa at Lulu today!) and the graphic novel this year. If no one wants to represent me, I will represent myself. I am used to self-publishing and I have no fears about knocking on doors and asking people and businesses to carry it. At left is an ink-only abstract from the upcoming Mini-Saga "The Traveler." I created it with Clip Studio Paint. This one will be 2 pages of art and about 3 pages of text. I'm almost done with it. I am looking for an April release. It is heavy! 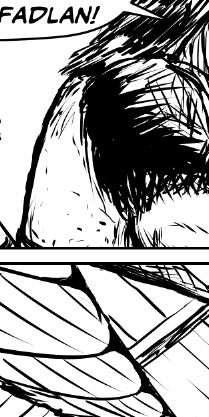 Those who buy it will be in for a treat and a big shocker when they read the graphic novel. 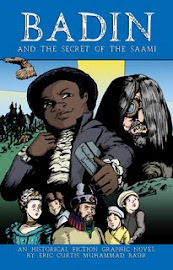 The Mini-sagas are not included in the graphic novel. So if you think you can "wait it out" I would not recommend it. I do plan a special edition graphic novel that will include the, but that may not be finished until late 2018. The special edition will contain concept art, related articles and art directors notes. As I grow with the creation of the graphic novel's Act 2, 3 and 4, I have realized that this story is a powerful weapon against xenophobia, racism and—to a small, but significant degree—Islamophobia. I need your support to help me fight the rising tide of hatred that is growing in the United States and Europe for immigrants. We are in a time of great danger. 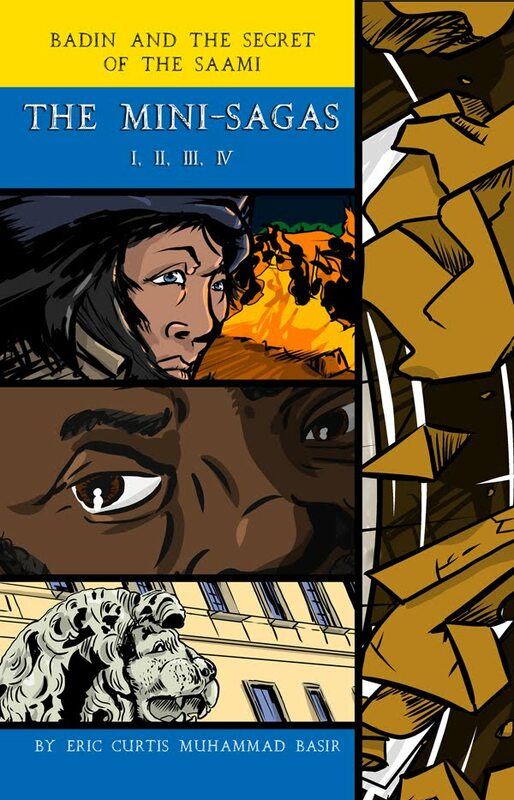 Please buy, read and invite others to buy and read Vaarvaa, the upcoming mini-sagas and the graphic novel. Use the posters and avatars. Let's get the word out now!